Based on a Dispensationalist reading of Old and New Testament scripture, the Left Behind series centers on those “left behind” after the Rapture transports true believers to Heaven. The Tribulation, the period between the Rapture and the Second Coming of Jesus, is marked by great pain, but it offers those left behind a chance at redemption. Over the course of 16 books, the Left Behind series tracks a group of Americans who join together to form the Tribulation Force, which battles the Global Community, an Illuminati-esque organization led by a man later revealed to be the Antichrist. Critics characterize the series as “a revenge fantasy, in which right-wing Christians win out over the rational, scientific, modern, post-Enlightenment world,” but the series has sold more than 80 million copies worldwide. Timothy Francis LaHaye was born in 1926 in Detroit, Michigan. He was an evangelical minister and a political activist, sitting on the board of Jerry Falwell’s Moral Majority and advising and supporting Republican politicians from Ronald Reagan to Mike Huckabee. He published more than 75 books before his death in 2016. Jerry Bruce Jenkins was born in 1949 in Kalamazoo, Michigan. 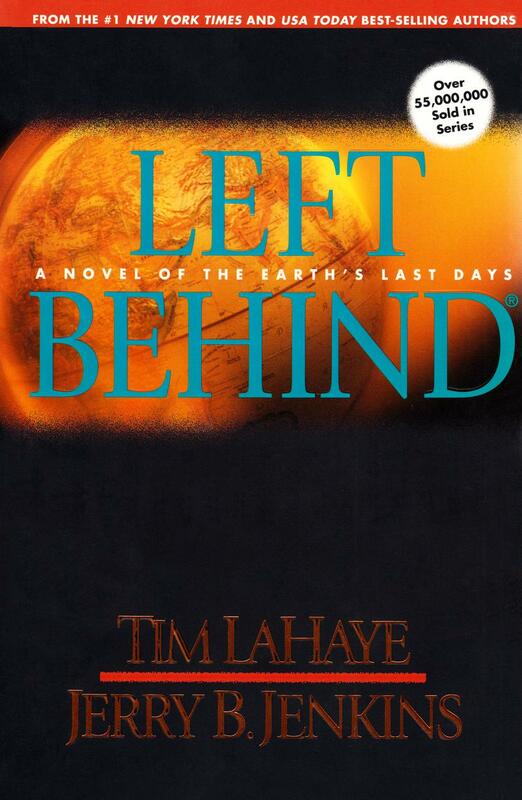 While LaHaye conceived of the Left Behind series and sketched out its shape, Jenkins has been responsible for writing the books themselves, with the aid of LaHaye’s notes. Beyond Left Behind, Jenkins is the author of more than 150 books across a wide range of genres. For Amazon.com’s 10th anniversary in 2005, he ranked in the top ten bestselling authors in the site’s first decade.